You would often associate kleenex with facial tissues and the like, but they’ve recently introduced a few cosmetic products to their range. 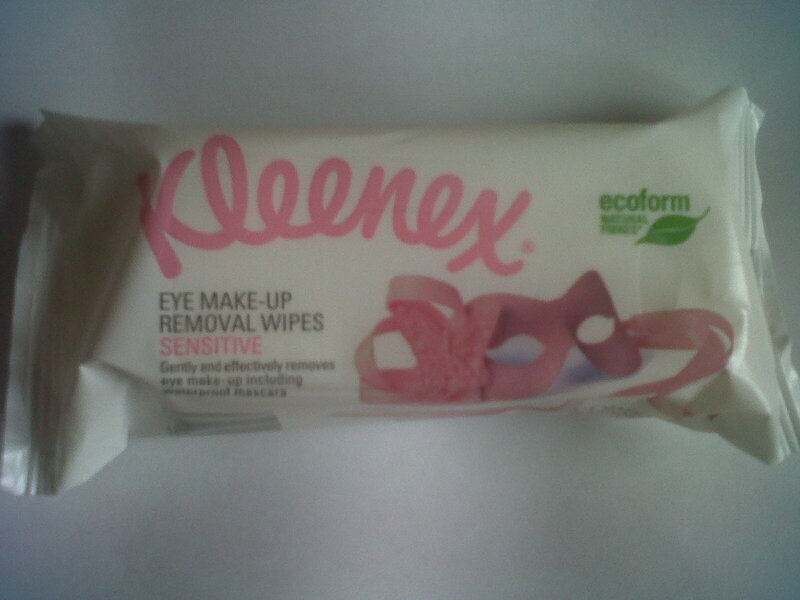 Their eye make-up removal wipes come in a pack containing 24 wipes. It is meant to be suitable for sensitive skin. It did a relatively good job removing my eye make-up, though the texture of the wipe was more “paperlike” rather than “clothlike” if you know what I mean, but the wipes still felt soft against my skin. This could be because the wipes have been made with ecoform natural fibres which must be some kind of environmentally friendly material. 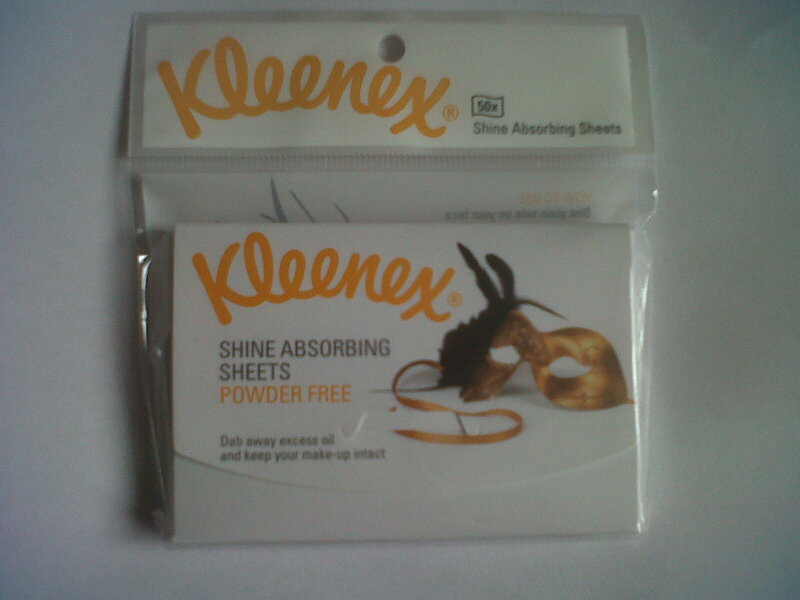 The shine absorbing sheets are powder free and come in a pack of 50. You are meant to blot the plain side on your face to remove the oil from your face. I liked using this product because it did remove the shine from my face without removing my make-up in the process and it did not leave a powdery deposit on my face either.